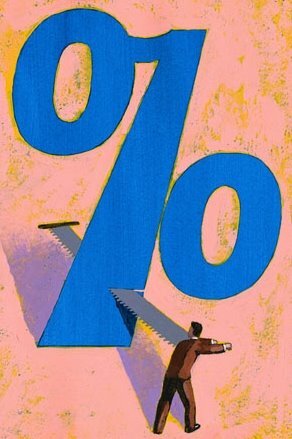 The rate cut that is very likely to occur on October 29 will be very welcome for businesses and consumers looking for loans and favorable credit card deals, and for those struggling with debt. The odds that the Fed will opt to cut short-term rates by at least 25 basis points (0.25 percentage point) at the end of the month are still 100%, and the odds of a 50 basis point cut for October 29 cut have been increasing as the next Fed meeting approaches. Rate cuts are great for boosting economic activity, but another stimulus package could do even more for this anemic U.S. economy, especially since many American banks have responded to the current credit crisis by hoarding the capital in their vaults instead of lending it out. "...I understand that the Congress is evaluating the desirability of a second fiscal package. Any fiscal action inevitably involves tradeoffs, not only among current needs and objectives but also--because commitments of resources today can burden future generations and constrain future policy options--between the present and the future. Such tradeoffs inevitably involve value judgments that can properly be made only by our elected officials. Moreover, with the outlook exceptionally uncertain, the optimal timing, scale, and composition of any fiscal package are unclear. All that being said, with the economy likely to be weak for several quarters, and with some risk of a protracted slowdown, consideration of a fiscal package by the Congress at this juncture seems appropriate..."
“...Chairman Bernanke made it clear that a new economic recovery package is critical to boost our weakening economy. In testimony today before the House Budget Committee, Chairman Bernanke added his voice to the chorus of economists, experts and policymakers who insist that America needs a job-creating recovery package to get our economy back on track and to restore consumer and investor confidence..."
Some in Congress want the new stimulus checks to be twice as large as the ones issued earlier this year, but considering the cost, it's tough to predict whether a new package would include bigger checks for American consumers. Stay tuned. Another piece of positive news today: the TED spread was 3.62875 percentage points on Friday. Today it declined to 2.82875 points, which is a strong indication that the frozen credit market are starting to thaw. "...The Financial Services Regulatory Relief Act of 2006 originally authorized the Federal Reserve to begin paying interest on balances held by or on behalf of depository institutions beginning October 1, 2011. The recently enacted Emergency Economic Stabilization Act of 2008 accelerated the effective date to October 1, 2008. Employing the accelerated authority, the Board has approved a rule to amend its Regulation D (Reserve Requirements of Depository Institutions) to direct the Federal Reserve Banks to pay interest on required reserve balances (that is, balances held to satisfy depository institutions’ reserve requirements) and on excess balances (balances held in excess of required reserve balances and clearing balances)..."
"...The commercial paper market has been under considerable strain in recent weeks as money market mutual funds and other investors, themselves often facing liquidity pressures, have become increasingly reluctant to purchase commercial paper, especially at longer-dated maturities. As a result, the volume of outstanding commercial paper has shrunk, interest rates on longer-term commercial paper have increased significantly, and an increasingly high percentage of outstanding paper must now be refinanced each day. A large share of outstanding commercial paper is issued or sponsored by financial intermediaries, and their difficulties placing commercial paper have made it more difficult for those intermediaries to play their vital role in meeting the credit needs of businesses and households...."
"...Overall, the combination of the incoming data and recent financial developments suggests that the outlook for economic growth has worsened and that the downside risks to growth have increased. At the same time, the outlook for inflation has improved somewhat, though it remains uncertain. In light of these developments, the Federal Reserve will need to consider whether the current stance of policy remains appropriate..."
Is this a good time for a bear market update? Sure, why not. Since closing with record highs on October 9, 2007, the DJIA has now lost 4,717.42 points (33.304%), while the broader S&P 500 Index has shed 568.92 points (36.349%. ), as of today's close.